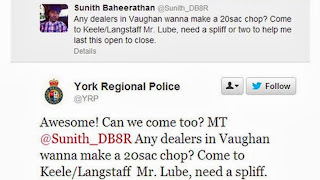 A Mechanic, Sunith Baheerathan, from Toronto was sacked from the auto repair shop he worked after his tweet asking for weed to be brought to his workplace got a response from the York Police, which led to a chain of retweets and he's eventually firing. 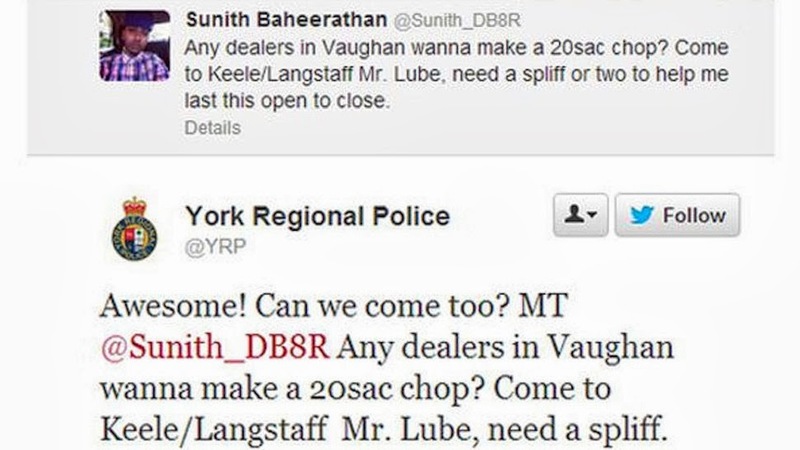 The man had asked one of his followers to bring him a "20 sac chop" of weed in a tweet which caught the attention of the York Police force who replied the tweet with "Awesome can we come too"
The tweet would eventually cost him his job. 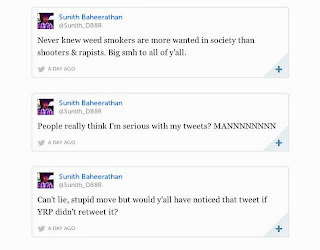 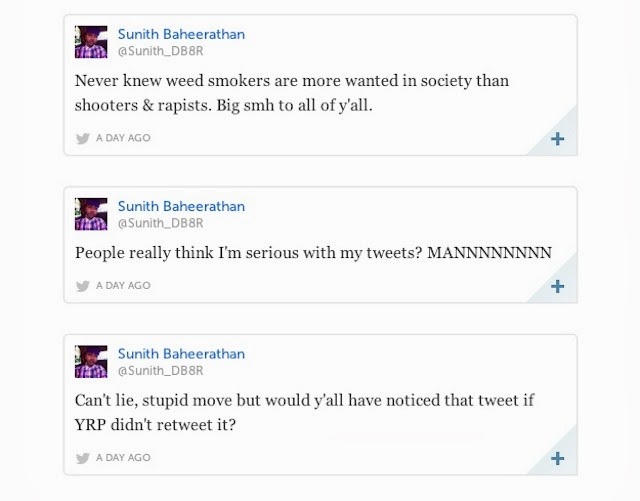 Sunith Baheerathan later took to twitter to defend his action.